We have game night at least once a week in my house. My boys have a whole chest and bookshelf full of games. Whenever their buddies come over the first thing they say is lets play one of your games!! I think playing a game is the perfect way to bond, whether it be as a family or as a friend. Recently I contacted Smart Games USA to do a review. I love their games because they are great for all ages, require logical thinking, they have games for multiple players and singles players and they are of course fun! 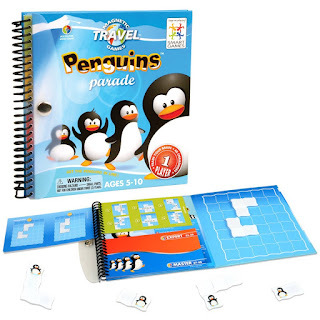 A magnetic travel game that’s great for ages 5-10. It’s great for brain-building, problem-solving fun. 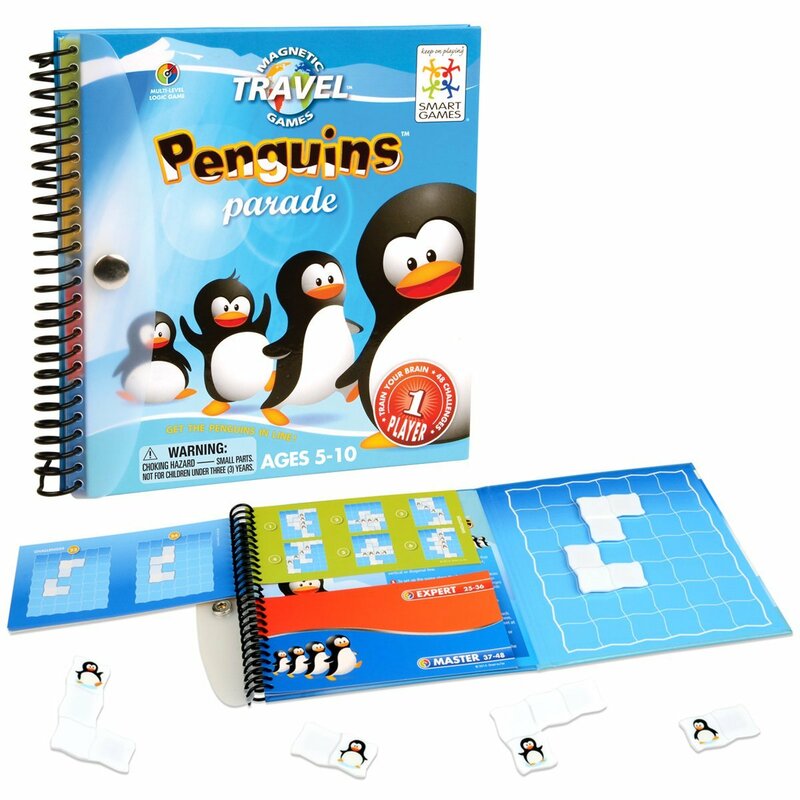 Its compact design and snap-shut case makes it a great game for the school bus or for holiday travel. I can't be the only mom who has car issues. And no I don't mind low on oil or bad breaks. I mean the yelling and whining that occurs in the back seat. I figured out a long time ago if I can keep them entertained they don't misbehave and act out. SO we have a small collection of things to do in the car. Thanks to Penguins Parade we have add yet another fun car activity. It keeps them occupied. It is fun and has just the right amount of challenge so they don't get frustrated! This game is both adorable and educational. It’s aimed toward ages 3-8 and encourages the development of motor skills and spatial reasoning. 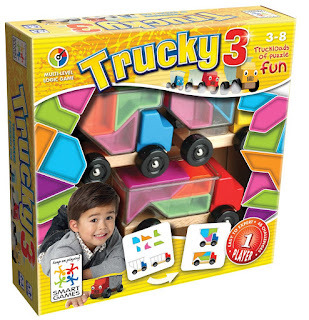 Plus, what boy doesn’t love playing with trucks! I love that this game promotes learning. Such as figuring out which shapes go together and how to put them together to make them stay up.